While checking the network at an SF WiFi client we were pleased to see the uptime on one of their access points. 272 days uptime. That is nice. Free Wi-Fi is a big deal with consumers who travel with their laptop and mobile phones. It’s common to get access to Wi-Fi in many coffee shops and restaurants. Bookseller Barnes & Noble has announced that it will be offering free in-store access to Wi-Fi to customers at all locations nationwide. The customers will be able to freely browse and download any of the 700,000 eBooks that the retailer offers in its store and get public domain books from Google. Adobe Systems Inc. late Wednesday (july22)admitted its Flash and Reader software have a critical vulnerability and promised it would patch both next week. Adobe said it would patch all versions of Flash by July 30, and Reader and Acrobat for Windows and Mac no later than July 31. Cyber criminals are targeting travelers by creating phony Wi-Fi hot spots in airports, hotels and coffee shops. These are know as “evil twins” attacks. We can help protect your network and your wireless guests. Rouge access point detection in the wireless network. Is someone attempting an “evil twin” at your site. We can detect and shut them down. Network and access point management and error notification. Apple is getting ready to launch a new iPod Touch with a built-in camera and microphone according to rumors setoff at the iTouch manufacturing site. 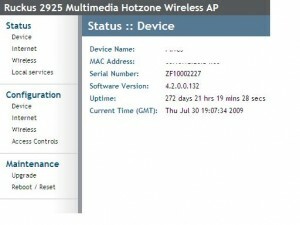 The iPod Touch would be a nice VoIP phone – via a wireless connection. All that is required is a microphone and a download of Skype application. That capability is available now with the current iTouch and a microphone attachment. Possible release date: Fall 2009.
encouraging organizations and individuals to telework from home or a remote location on Monday, August 3, 2009 – Telework Day. WHY? Telework is a win-win-win opportunity for organizations, employees, and the environment. On June 10, 2009, Virginia Governor Timothy Kaine issued an Executive Order to “green” Virginia – calling for reductions in energy consumption and efficiency in state government operations as well as a statewide Telework Day to save the energy of commuting. A vacation to the Midwest states revealed some interesting wireless networks. Iowa – Hot spot wireless at highway rest stops. Corn, cows, and wifi. Airports: Denver, San Jose, Omaha, Phoenix – Free wireless. Previously this was a pay service. Most networks with Cisco gear in use. To connect to one airport network had to pass through 5 pages of captive portal to finally get access. Awkward. Southwest Airlines – Wireless access on the flight. Pay service. Content filter, no videos. No thanks. 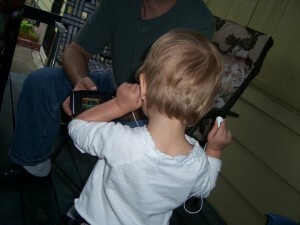 My niece watched Barney videos on my iPhone. Now that’s next generation wireless. The SF WiFi online store is almost complete. What are we waiting for!!?? Current projects are keeping us busy. The store will be online soon. In the meantime just a reminder that SF WiFi resells the Ruckus Wireless equipment. Reports that Apple’s iPhones are draining their batteries so fast that some users can’t make it through a workday without recharging likely point to a problem in the new iPhone OS 3.0 software, an Apple hardware expert said. Users started complaining about poor battery performance almost as soon as Apple offered iPhone 3.0, the software available for download June 17 for first-generation iPhones and second-generation iPhone 3Gs. The new iPhone 3GS relies on the same software.